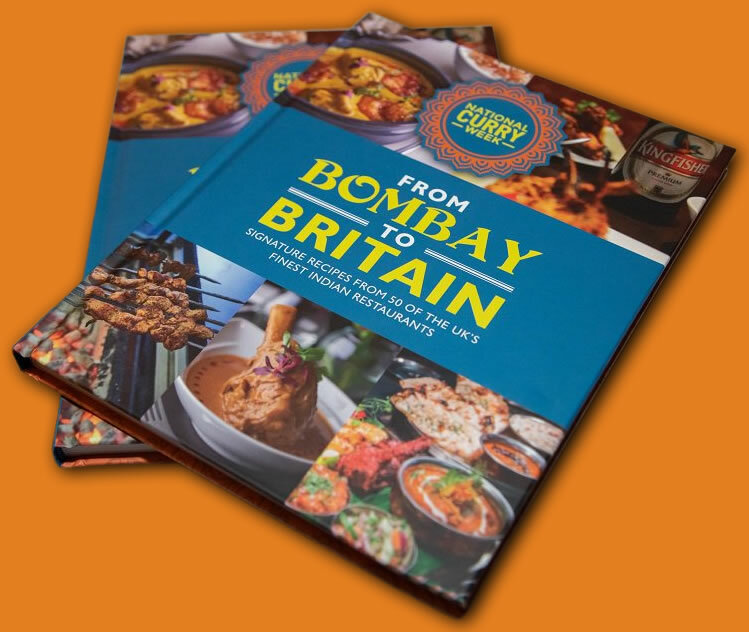 The very first National Curry Week took place in October 1998 and was founded by the late Peter Grove. Peter was a prominent journalist who had fallen in love with curry. His vision was to drive awareness and appreciation of the burgeoning Indian restaurant industry, whilst also raising funds for charity. 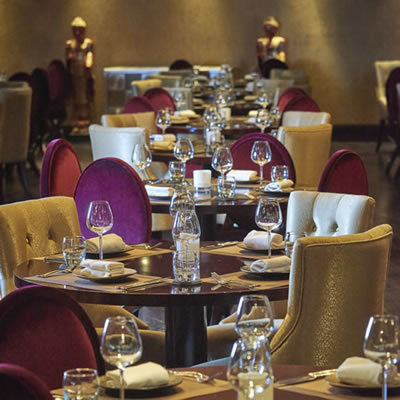 This year will be the 21st National Curry Week and we’re committed to making it bigger and better than ever! The last twenty years have been a fantastic ride and we’ve had lots of fun from breaking world records to touring the nation with free curry served from a double decker bus! 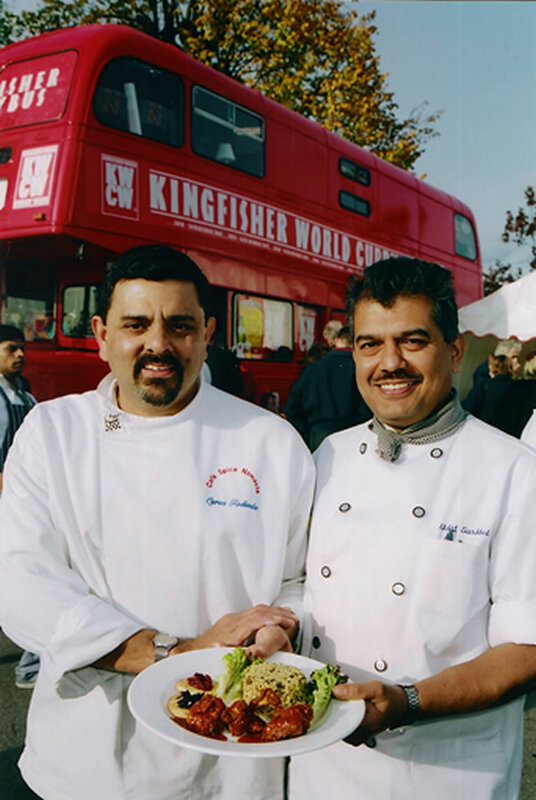 A bespoke double decker bus toured the UK to serve up free curry made by famous chefs such as Cyrus Todiwala to foodie fans. 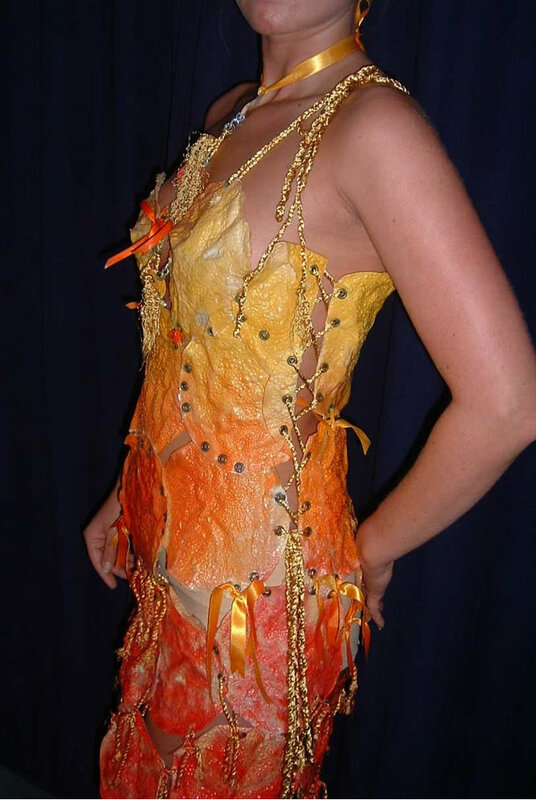 Fashion designer, Lisa Myers, created the world’s 1st dress made entirely from poppadums. 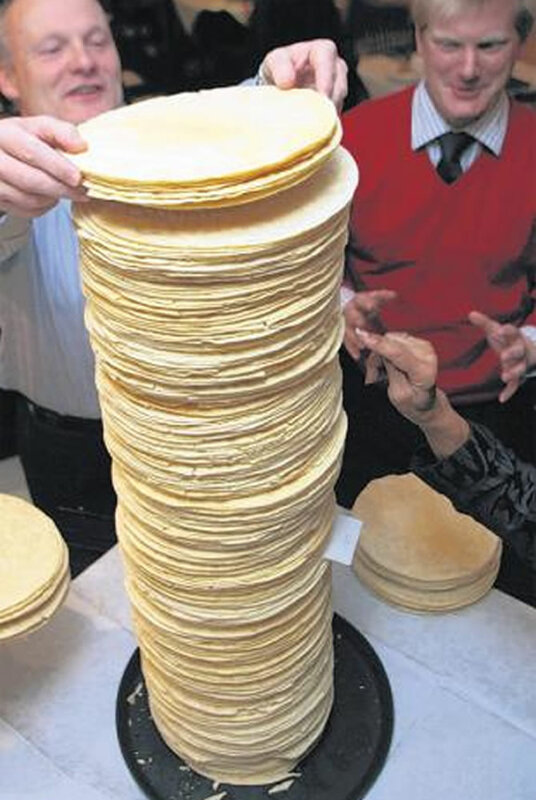 The world record for the tallest stack of poppadums was built by an Indian restaurant standing at 1.72m high! 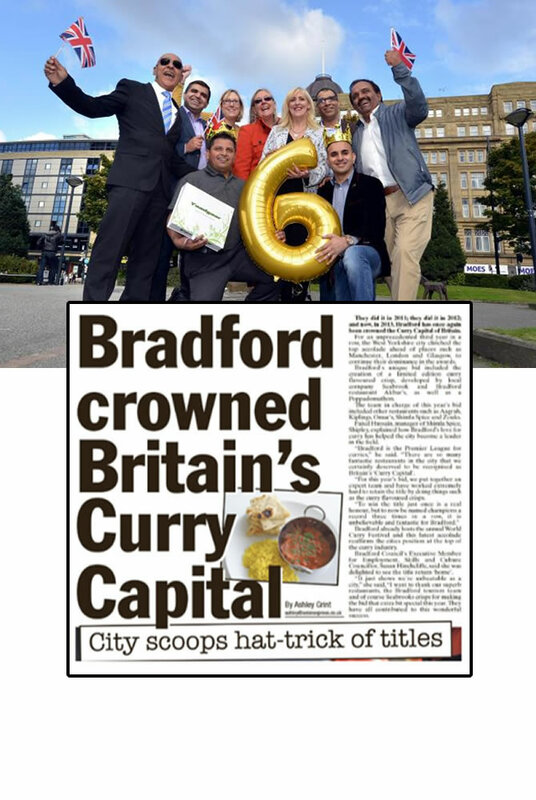 Bradford was crowned the winner of the Curry Capital of Britain competition for a record-breaking sixth time in a in a row. YouTube sensation, Kate Ovens defeated The Chilli Pickle restaurant’s gigantic Pork Knuckle Vindaloo in under 15 minutes. 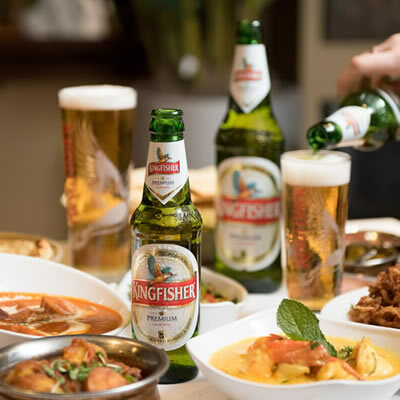 In 2018, National Curry Week ramped up the celebrations for its 20th anniversary with the help of headline sponsors, Kingfisher – India’s No.1 Beer! Below we showcase all of the major activity that took place. 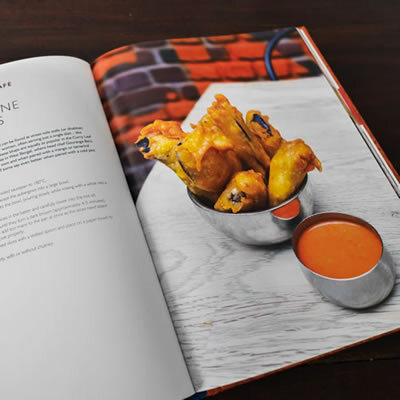 We teamed up with India’s No.1 Beer, Kingfisher to create the official National Curry Week recipe book, ‘From Bombay to Britain’; featuring signature dishes from some of the top Indian restaurants in the UK. 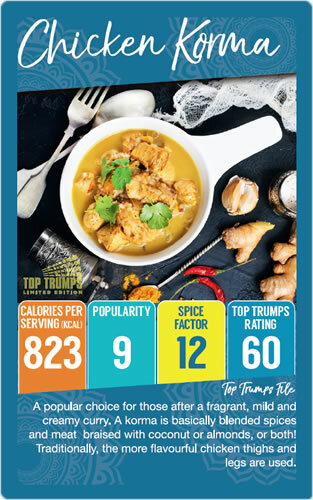 Creating the ultimate Battle of the Curry, we produced a pack of Limited Edition Top Trumps featuring 30 of the most-loved Indian dishes, sides and accompaniments. Collaborating with our Official Retail Partner, Booths Supermarkets, we toured 7 of their busiest stores in 7 days with the Kingfisher Beer Truck which sampled both Kingfisher Beer & Peacock Cider to shoppers.